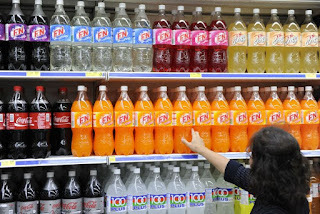 SINGAPORE - Makers of soft drinks in Singapore have pledged to cut down the amount of sugar in their drinks, as part of a national effort to help curb diabetes. But the fight against the disease will not stop there, Prime Minister Lee Hsien Loong said in his National Day Rally speech on Sunday (aug 20). The Government is already looking at other solutions to help people reduce their consumption of sugary drinks, he added. 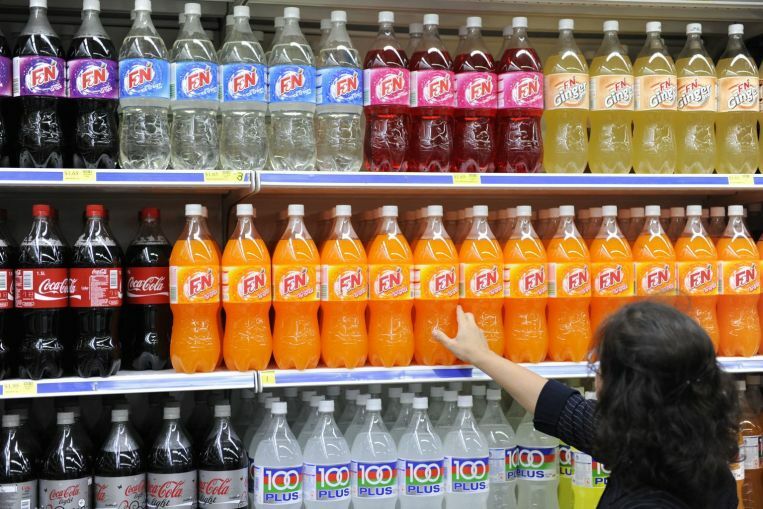 For instance, countries like Mexico have imposed a sugar tax, while Britain requires makers to place warning labels on drinks with a high sugar content. "But it is not clear yet if these measures work... Nobody has found the ideal solution yet," Mr Lee said. He devoted a third of his speech to diabetes, which affects an estimated one in three Singaporeans older than 60. To stay clear of the disease, Mr Lee said: "Get a checkup, exercise more, watch your diet, cut down on sugar. It requires commitment, and adjustments to our habits, our lifestyles and diet - but the payoff is large and it can be done." "Wholemeal bread instead of white bread. Teh O kosong instead of teh," Mr Lee said, sharing how he keeps his blood sugar levels in check. "But if the dessert is chendol, it can't be helped; I will just take a little bit." The average Singaporean can expect to live up to 82 years, making its people one of the longest-lived in the world. But many will spend nearly a decade of this time in poor health, with the culprit often being diabetes. Diabetes is often a silent illness, and its complications, ranging from kidney failure to heart attacks and strokes, can prove deadly, Mr Lee said. Diabetes also becomes more prevalent as Singaporeans age, and is estimated to affect one-third of those older than 60. But the Government alone cannot solve the problem, he added. It is a matter of personal responsibility. He called on Singaporeans to go for regular check-ups to find out their state of health. From next month, nearly 2 million Singaporeans will pay $5 or less for a basic health screening under the enhanced Screen for Life programme. Said Mr Lee: "Don't take the attitude that it is better not to know. You must want to know because if you know about your condition, you can do something about it." Don't sit on the results, he added, but see a doctor if there are any red flags in the medical report. Apart from prescribing medication, Mr Lee said doctors are likely to advise people to eat healthy and exercise more as well. Ideally, people should get at least 150 minutes of physical activity a week - whether it is from a dance class or Zumba session. Failing that, walking 10,000 steps a day can be an alternative goal. For instance, why not walk to the MRT station rather than take a bus, Mr Lee suggested, or climb the stairs rather than waiting for the lift. "Let's all make the effort to walk a little bit more and work it into your daily routine," he said, adding that everyone in the audience would get a free step tracker from the Health Promotion Board (HPB). According to a recent HPB study, more people are getting the recommended amount of physical activity every week. But this is not enough to offset the growing amount of calories that people are ingesting. In 1998, Singaporeans were consuming around 2,100 calories a day. By 2004, they were downing 300 extra calories daily, or the equivalent of two extra scoops of ice cream, Mr Lee said. And by 2010, this had risen by a further 200 calories; that is, a third scoop of ice cream and extra toppings. "To burn off these three extra scoops of ice cream, you need to run more than an hour every day," he said. "Most of us don't do that, so obesity has gone up." A final culprit is soft drinks, which contain a lot of refined sugar that is bad for the body and greatly increases a person's risk of diabetes. This is especially problematic if it becomes an ingrained habit from youth, he added. Government measures may help, but ultimately, what to drink is a personal choice, PM Lee said, adding: "The best is to drink plain water."